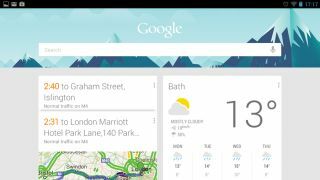 Google is preparing to integrate the Android-based Google Now technology into its Chrome web browser, judging by a new addition to the Chromium project. The personal assistant, which brings Android users all of the information most relevant to them at any given time, has proved hugely popular since it was launched in Android Jelly Bean earlier this year. The app brings weather updates, up to date traffic information, public transport updates, latest sports scores, and useful tips based on your current location, all under one roof. Now, it seems that Google is looking to bring this technology to the popular Chrome web browser, via Chrome notifications. CNET reports that developers within the Chromium project have accepted a submission for "Creating a skeleton for Google Now for Chrome implementation." The app, which also integrates Google calendars and searches into its reckoning, was unleashed at Google I/O back in June as a major new component of Android Jelly Bean. Just this week, the company added boarding passes to Google Now, just like Apple's Passbook app in iOS 6. Users can access the software by swiping up from the Home icon on the Android homescreen. Google is yet to make an official announcement regarding the addition of Now to the Chrome browser, so this is definitely one to keep an eye on.